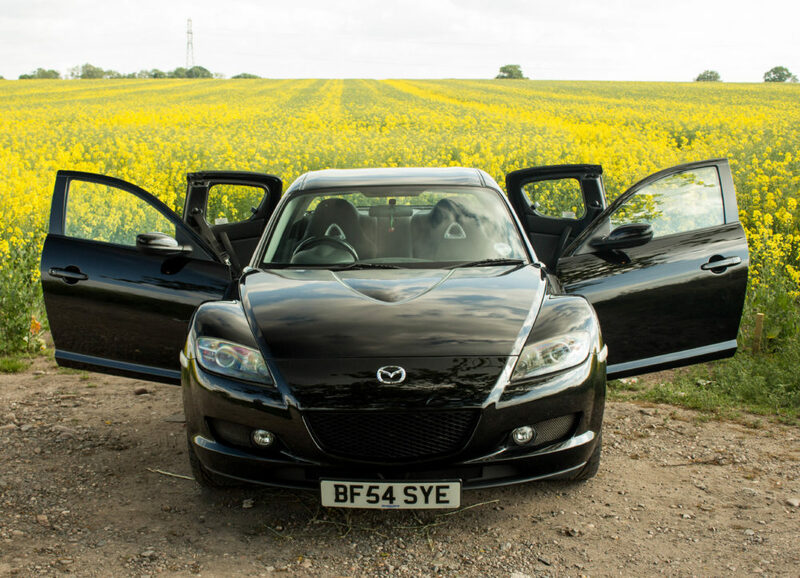 The Mazda RX-8 is a great car, by all means, it does everything quite well, excelling especially at chassis dynamics. Mazda engineered the chassis around the RENESIS motor found beneath the bonnet, which is a good way to capitalise on the small physical size of the motor. 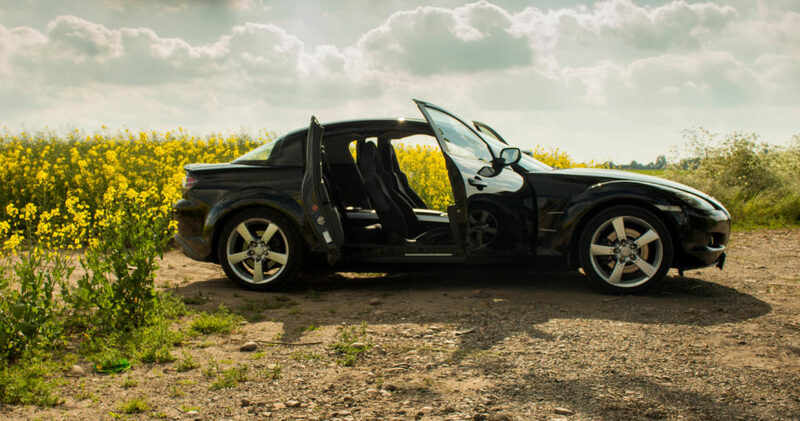 For a sports car, it’s also rather practical, with 4-doors, technically, and a boot. 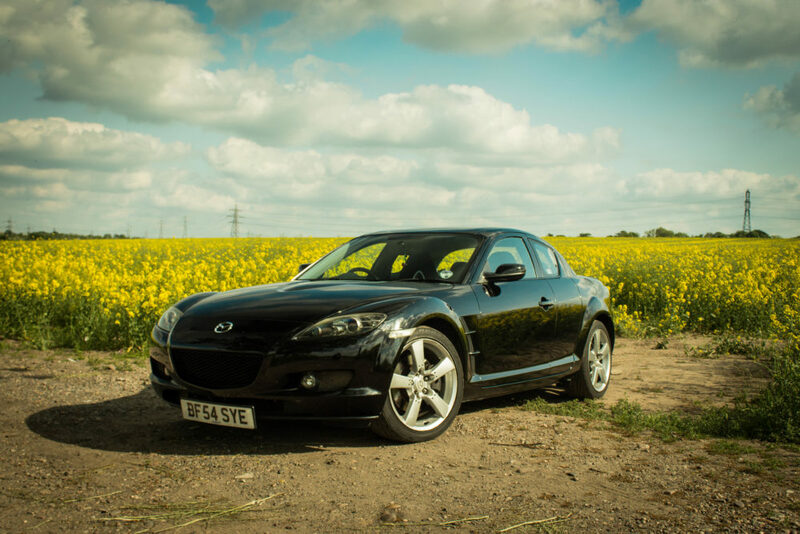 The RX-8 is only really marred by the RENESIS’s notorious lack of reliability. Nevertheless, after time, most of the common problems were debunked, and the RENESIS can be reliable if treated like a high-maintenance motor. 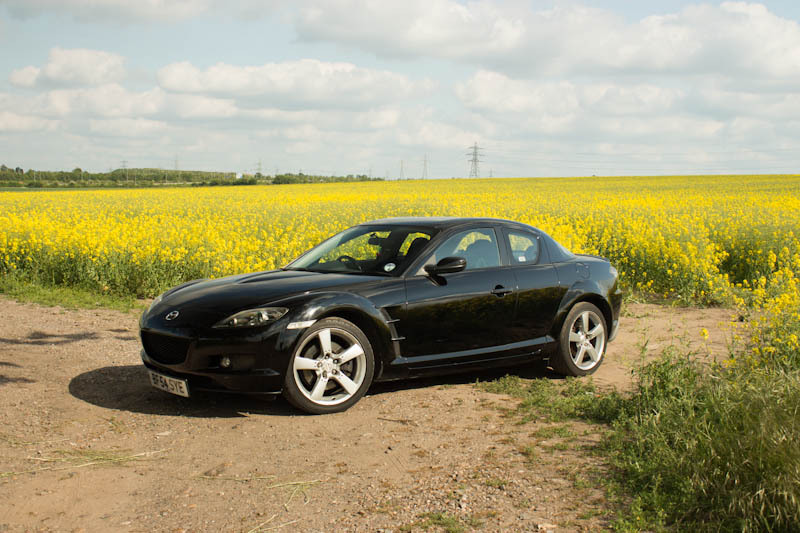 However, while the RX-8 was quite brisk for its time, nowadays, a normal RX-8 can feel inadequate. It’s even outpaced by many contemporary hatchbacks. Clearly, many thought the same, which is why a performance aftermarket quickly surfaced for the RX-8. Thinking of picking up an RX8? 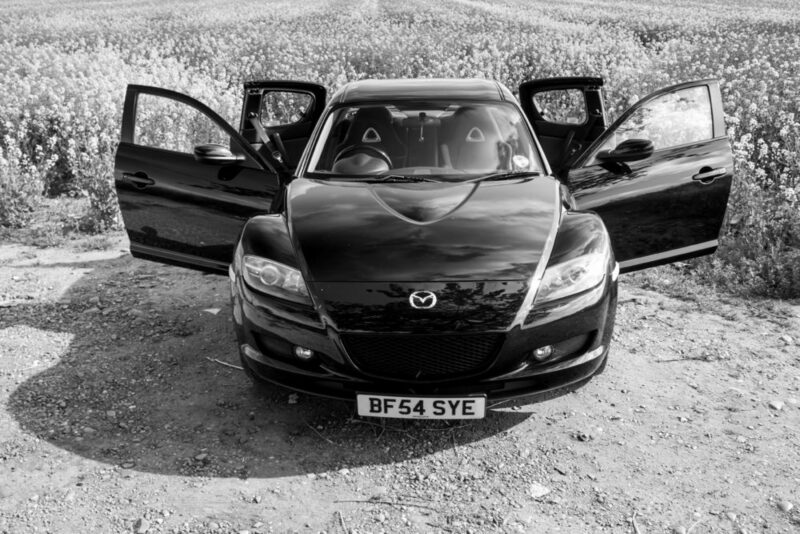 Our RX8 tuning guides are written for you. The RX8 exhaust guide will really wake up your new rotary.. Thus, if you are interested in squeezing out more from your RX-8, whether if it’s for drifting or road courses, here are some suggestions. Do note that the RX-8 responds pretty inertly towards most mods, and it’s not an affordable car to modify. Also, performance modifications almost always come with some adverse effect, so keep that in mind. The most obvious, and perhaps immediate mods that the majority will perform to the RX-8 are performance mods. More specifically, ‘breathing’ mods to help the RENESIS extract exhaust and inhale more efficiently. Most people would think that the intake is the first to go, it’s a straightforward change to an aftermarket one. However, the efficacy of the OEM intake is already impressive. Reportedly, only AEM, Mazdaspeed and Racing Beat intakes can yield diminutive gains (2-3%). However, it may be a worthwhile investment to make for acoustics and easing maintenance access. A mod that you’ll want to make though, is to free up the exhaust. From the factory, the RX-8’s exhaust is ample for the stock power levels, but they’ll pose a restriction further on. A properly made exhaust header compatible with a heatshield paired to a resonated mid-pipe from reputable manufacturers, like BHR. A basic 2″ single tip catback will work well, but you’ll have to shop around for an exhaust note you’ll like. Afterwards, it depends on how much expense you’re willing to bear. 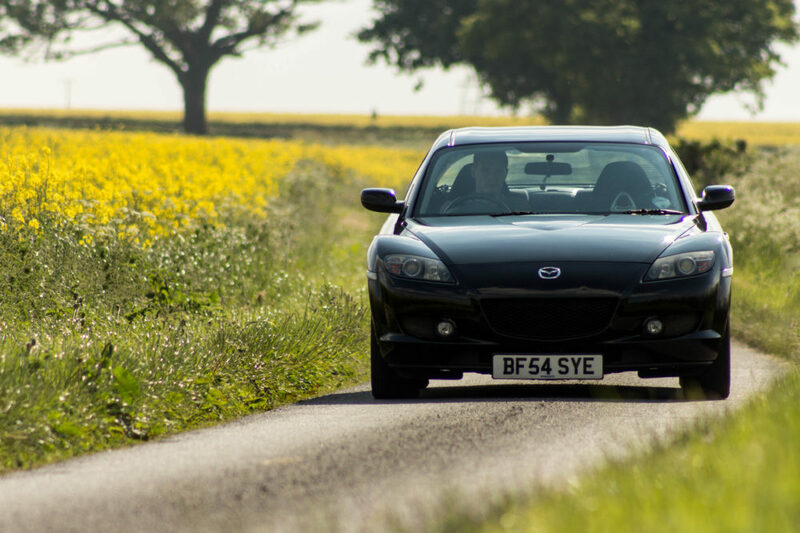 An ECU reflash with something like a COBB AccessPort or MazdaEdit is your best bet to pick up perhaps 10-20 whp with supporting mods, significant for naturally-aspirated motors. To push for a lot more, you’re going to have to either pick forced induction, nitrous, porting, or add more rotors. Finally, you can opt for an RX-8 motor swap. It will most probably end up being the most expensive solution of course. The most widely completed piston motor swap is an LS swap. This doesn’t make it easy though, everything must pretty much be custom fabricated to make it work on the RX-8. Fortunately, nowadays, there is a decent amount of documentation regarding the swap, and with enough skill, equipment, patience and money, this can be done in your garage. Fortunately, the horsepower that an LS can produce is very high, with commonplace parts to modify one too. Otherwise, you may want to look at a JZ swap. It’s been done before, not as much as the LS swap, but there are shops out there that can undertake the project. This’ll pretty much turn your RX-8 into a straight-line sprinter. If you’re intrigued by the idea of a pseudo-Supra, you can read up on it. Of course, the horsepower ceiling of the JZ motors is ridiculous, and the support for these are huge. However, they’re expensive to push for big horsepower. However, the most sensible choice here if you have to swap is to transplant the 13B-REW off the RX-7 into the RX-8. It’s pretty much the most similar motor to the RENESIS, however, there are still big disparities between them. There are quite a lot of information out there documenting this exact swap, so with enough research, it’s definitely achievable. Again, the 13B-REW have been paired with turbochargers larger than itself, so that gives you an idea of the tunability. Of course, the other way to approach this is to add more rotors. The parts needed for a 3-rotor or 4-rotor are not exactly off-the-shelf and it’ll be exorbitant if you can source them. However, the exhaust notes that a 20B and 26B produce are simply unparalleled. It’s an orchestra to experience yourself. Do note that power mods aren’t everything. 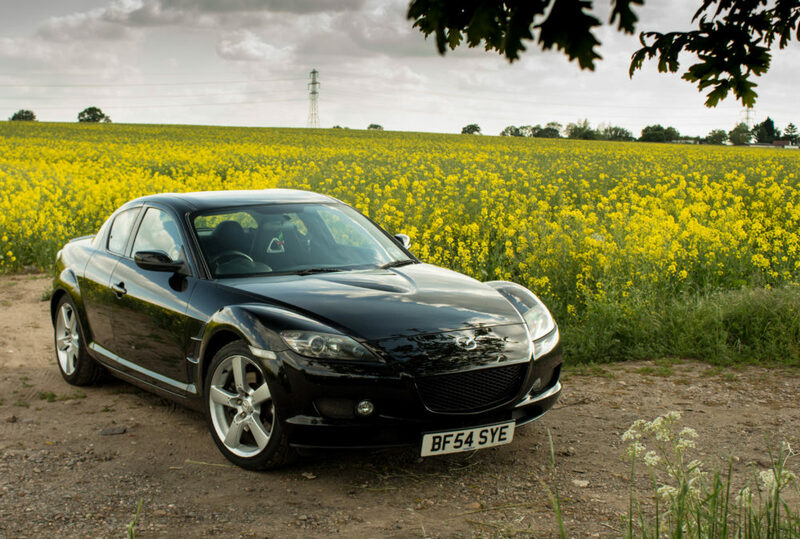 For a car like the RX-8, the main appeal is the impeccably balanced chassis. For any power enhancing modifications you do, you’ll also have to pay attention to the chassis balance. If you are interested do a lot of reading before taking on the motor swap, and enjoy your RX-8!